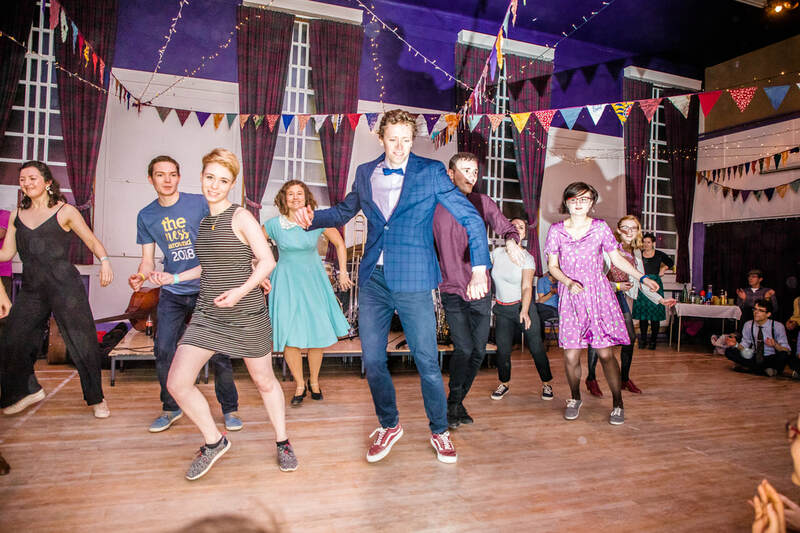 Learn to Swing Dance in the Scottish Highlands! Highland Swing is a community and volunteer-run swing dancing group which began in December 2016 with a weekend event called The Ness Around. The Ness Around aimed to introduce swing dancing to the Highlands of Scotland and after a successful event we began running regular classes in Inverness. We are now the most Northerly swing dancing community in the UK! Highland Swing is interested in spreading the joy of swing dancing: the name given to a group of authentic jazz dances originating in Harlem, New York and created by African Americans in the 1920s-1940s. Swing has made a huge come-back since then, and you can find dancers of all ages swinging out all over world, as part of an ever-growing international community. Lindy Hop is the most popularly danced swing dance, and is the one we 'specialise' in. Highland Swing runs classes, dances, workshops and events run by well-travelled and prize-winning teachers. We have also taught and performed at other events (Far North Dance Fest, Skye Swing and Jazz Festival), fundraisers (RASASH, Children First) and groups (Skye Dance). If you are interested in speaking to us about how we could be involved in your event, or are interested in private tuition, please get in touch with us!